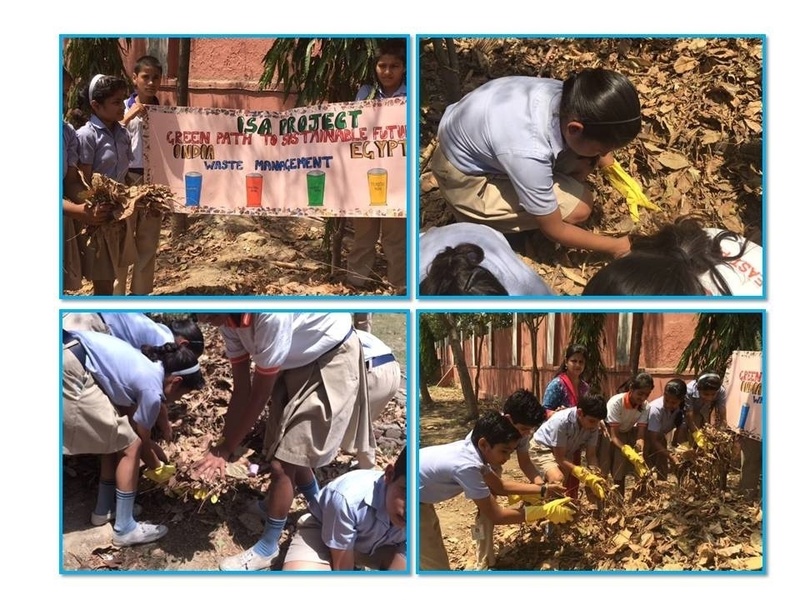 " Collection of dry leaves from the ground and vegetable peels and putting it in compost pit to prepare manure"
On 11th April, under ISA activity"Green path to sustainable students"Students of grade VIII, collected dry leaves from the garden and ground of the school and has brought vegetable peels from their home, and put it in the compost put to prepare manure." 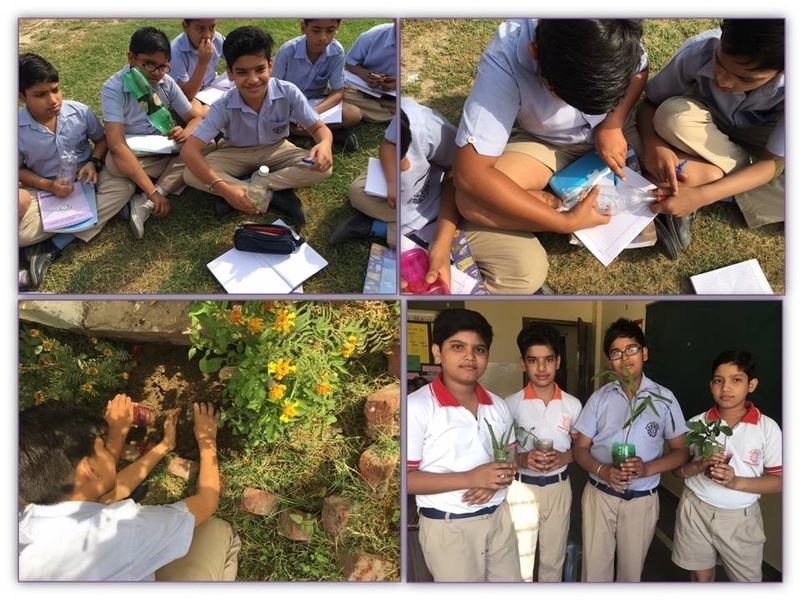 On 5th April 2016, Under ISA Activity "Green path to sustainable future" Students of Grade VII cut the plastic waste bottles, filled mud in it and put small plants in it to use it as teaching aid for an activity "
The students of class 9th made the best out of waste by recycling newspapers. They tore the paper and soaked them in water for a day. Then they churned the paper with water in the churning machine. The churned material was collected and spread on the sieve. After this, the churned material was spread on a thin cotton cloth. In total, 7 papers were spread one by one. The extra water was squeezed out with the help of a pressing machine. Finally, the pressed paper was dried out in the sun to get a recycled paper. 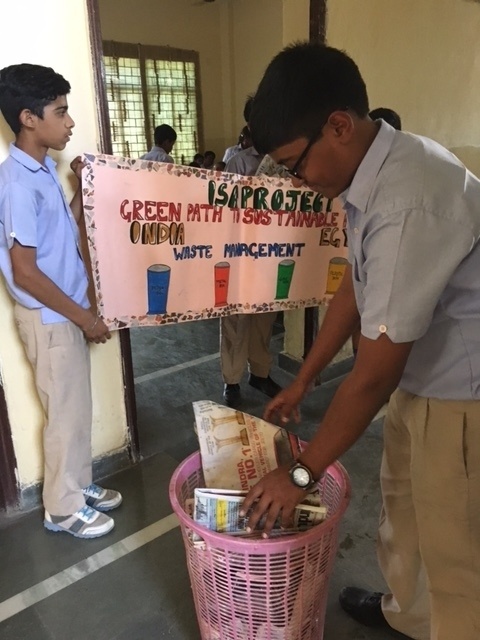 "Collection of waste papers in paper collection baskets"
Students of Grade VII collected waste papers in waste paper baskets from all the classes in the middle block building and put it into recycling unit and for using of making display items out of it. 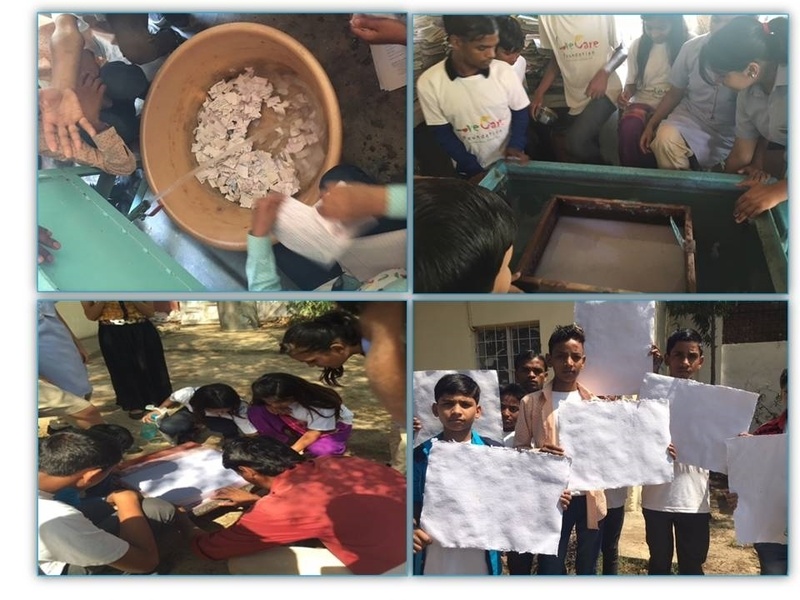 Students have learned to reuse waste papers not to throw them in dustbins.